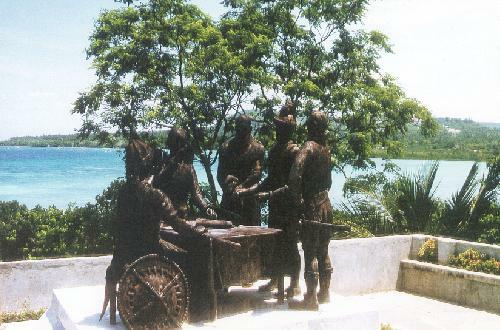 - Blood Compact Site - This sculpture, in the town of Bool a few kilometers outside of Tagbilaran, commemorates the friendship pact between the local chieftan, Sikatuna, and the Spanish explorer, Legaspi, in 1565. 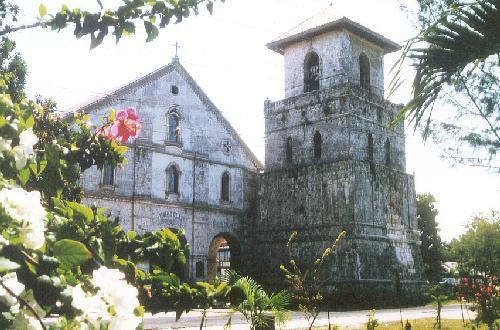 - Baclayon Church - A few more kilometers past Bool is one of the oldest stone churches in the Philippines. Known as the Church of the Immaculate Conception, it dates back to 1595. The church is well-preserved and there is an adjoining museum with old vestments and church adornments. - Philippine Tarsier - A primate (related to man and monkeys) found only in the central Philippines. These were kept in the town of Loboc. 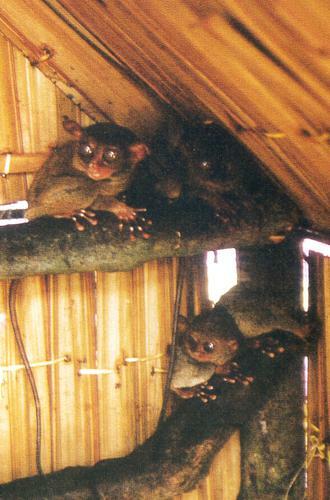 Another place to observe them is at the Tarsier Conservation Center near the town of Corella. - Chocolate Hills - A tourist enjoys the view atop the observation hill next to the Chocolate Hills Hostel. 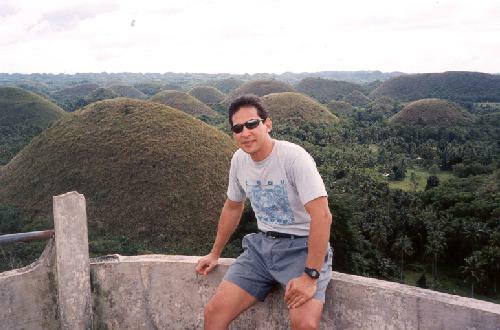 The mound-shaped hills stretch out as far as the eye can see near the town of Carmen in central Bohol.